The 8th Annual Jack O'Lantern Jubilee was held at the City of Newburgh Activity Center/Delano-Hitch Stadium in the City of Newburgh on Friday, October 22, 2010. 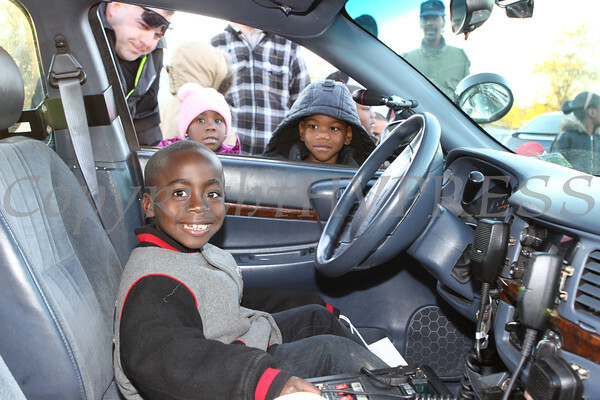 Six-year-old Dewain Newkirk explores Ofc. Vasta's police car during the 8th Annual Jack O'Lantern Jubilee held at the City of Newburgh Activity Center/Delano-Hitch Stadium in the City of Newburgh on Friday, October 22, 2010. Hudson Valley Press/CHUCK STEWART, JR.